Home improvement these days seems to be all about colour scheme. And it’s easy to see why! Colour scheme is the first thing a lot of us notice – even before design! So when it comes to choosing roof paint colours, you want to get it right. That’s probably why you’ve searched for tips on how to choose! It’s amazing just how much of a difference a fresh coat of paint can make on your roof. It can totally transform your house! But it can do more still. A fresh coat of paint on your roof can improve its lifespan and give your home an entirely different aesthetic and ambience. It’s like renovating but for a fraction of the cost! So if you’re looking for help with your choice you’ve come to the right place; we have the top five expert tips on choosing roof paint colours below. 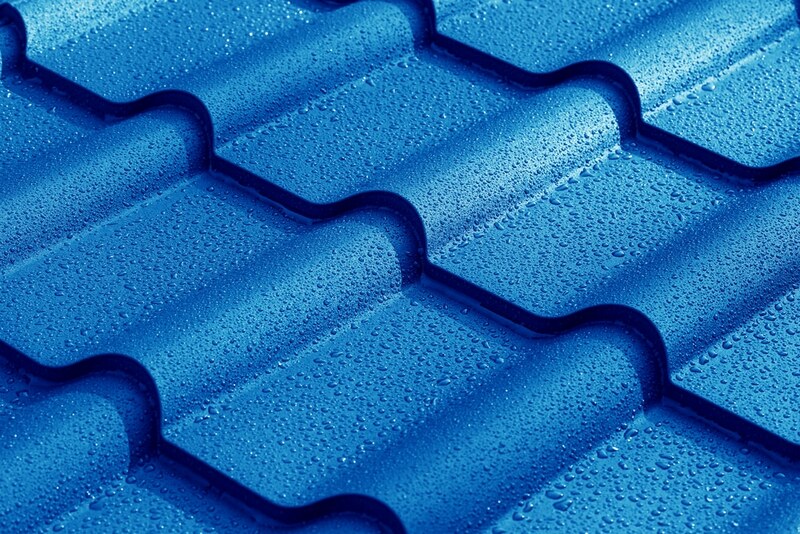 These tips are designed to help you manage your roof in the most aesthetically satisfying way. If you have reached a stalemate in your selection process, read on. We are here to help you get the most out of your remarkable roof restoration! #1 Choosing a great roof paint colour is exciting, but it shouldn’t overshadow the rest of your home! When it comes to choosing a roof paint colour, this is probably our best tip: don’t overshadow your home! If you are anything like us, flicking through roof paint samples is far more exciting than it sounds! All the different colours create a visual experience and the temptation is there to go for something bold and edgy! Well, maybe that’s not everyone’s experience, but you get the idea. If that does sound a bit like the direction you’re taking, take a moment to think about what you love most about your home. For most people, it’s probably the design. After all, that’s why most of us buy the homes we buy! So you will want to choose roof paint colours that work with that, rather than overpower it. If your roof has a steep pitch, or a solid standing, then a relatively neutral colour will help integrate it with the remainder of your home. We have found this to be a good compromise; it lets your roof work with your home, without minimising its impressive appearance. This tip for choosing roof paint colour really brings us back to basics. In Queensland, we have a beautiful environment, and this environment has given rise to some unique and wonderful home designs. The most notable of these is the iconic Queenslander. But these homes are located in all manner of different places across the state, and you should choose roof paint colours accordingly. If your home is located in an area surrounded by vegetation, choose a nice roof paint colour that works with it. Likewise, if you are in the suburbs you should opt for a roof paint colour that isn’t too bold, but that offers your home the distinction you desire. For example, inner city areas are rich with history. That means traditional colours often work best. Coastal areas, on the other hand, are rich with sunlight and shades of blue, so emulating these colours offers great results. It’s a fine line to walk, we know, but working with the experts here can help you get the best outcome! #3 Found a great roof paint colour? Make sure it’s high quality! You’ve done it – you’ve found the perfect roof paint colour! So that settles it right? Well, not always. When it comes to roof paint, colour and quality are the two most important things to consider. You may have mastered the colour, but what about the quality? The quality of your roof paint will have a direct effect on the durability of your roof. Basically, it’s not a decision that you should take lightly. But how do you know which paints are suitable? Easy – ask the experts! They will have a good handle on the paints that work and the paints that don’t. This means that they will be able to help you choose paint with not only a great colour, but also great protective qualities. With paint like that, your roof will last you years! #4 New vs old: how does your roof paint colour work with your home design? When you think of homes in Queensland, the iconic Queenslander is probably the first thing that comes to mind. However, we are seeing modern homes pop up around the state with increasing prevalence. And it’s this diversity that truly excites us! But what does it mean in terms of choosing roof paint? Well, different roof paint colours are suitable to different home designs, roof designs and locations. Modern home designs and striking colours go hand in hand. If there was ever a place where bold is best, it is on the roof a sleek modern home. The crisp lines that seem to dominate modern architecture are perfectly complemented by a striking selection of colours. So get experimental and don’t be afraid to go big! #5 Above all else, go with what you want! If you’ve had a read through this and tried to implement a few tips, chances are you’re getting closer to the perfect colour. But what if our advice just isn’t landing? Well, this final tip might be for you! We believe that it’s always worth listening to your gut. If you have found a roof paint colour that really appeals to you, why not give it a go? It doesn’t matter if it lines up with the latest design columns or architecture magazines – as long as you like it, you have had a win! There are so many roof paint colours to choose from that we are completely confident yours is just around the corner. Choosing good quality roof paint, with a colour of your choice, will guarantee you many more years of enjoyment – so get excited! 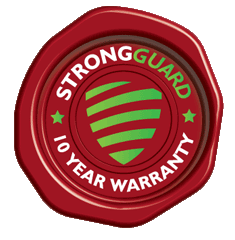 For all your roofing needs, contact the experts at Strongguard today on (07) 3623 4422.